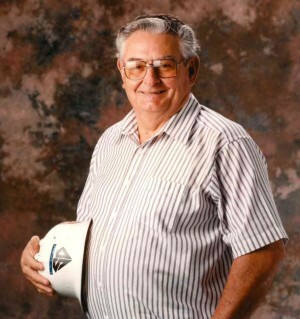 Obituary for Emory Fletcher Connelly | Thompson Funeral Home, Inc.
Mr. Emory Fletcher Connelly, 87, passed away on Tuesday, February 5, 2019. Funeral services will be held at 2:00 P.M. on Sunday, February 10, 2019 at Northside Baptist Church, 1250 Columbia Road Orangeburg. Burial will follow at Crestlawn Memorial Gardens. Dr. Shane Stutzman will be officiating. Pallbearers will be Senior Chief Ronnie Blevins, Steve Cumbee, Reeves Connelly, Zachary Connelly, Logan Gunter and Keith Stillinger. Honorary Pallbearers will be the Cornerstone Sunday School Class from Northside Baptist Church. A visitation will be held from 5:00-7:00 P.M. on Saturday, February 9, 2019 at Northside Baptist Church. Mr. Emory was born on August 5, 1931 in St. George, S.C. He was the son of the late Julius E. Connelly and the late Mary Louise Weathers Connelly. He served in the United States Army National Guard. Mr. Emory retired from Santee Cooper after thirty seven years, where he started as a lineman and worked his way to District Supervisor. He was a member of Northside Baptist Church and the Cornerstone Sunday School Class. He was also a member of the Masonic Lodge # 357. He was predeceased by a brother, Jerome Connelly and a son-in-law, Mike Creech. Survivors include his wife of 65 years, Thelma Ayers Connelly; children, Jane Teague (John) of Orangeburg, Sue Creech of Orangeburg, Rodney Connelly (Cindy) of Cope, Wes Connelly (Dr. Karen) of Orangeburg, Emory Connelly (Jill Duke) of Easley; thirteen grandchildren; fifteen great-grandchildren; sisters, Barbara Kizer, Mary Ellen Wimberly, Dixie Whetsell; brother, Robert Connelly (Mildred); sister-in-law, Bonnie Connelly and a number of nieces and nephews. Memorials may be made to Northside Baptist Church Mission Team at 1250 Columbia Road, Orangeburg, S.C. 29115. Friends may call the residence of Mr. Wes and Dr. Karen Connelly.